In a world filled with the instant gratification of iTunes and Netflix, the library seems like a relic of the past. However, the Jefferson County Library Cooperative has joined this brave new world of technology with its downloadable e-book system. 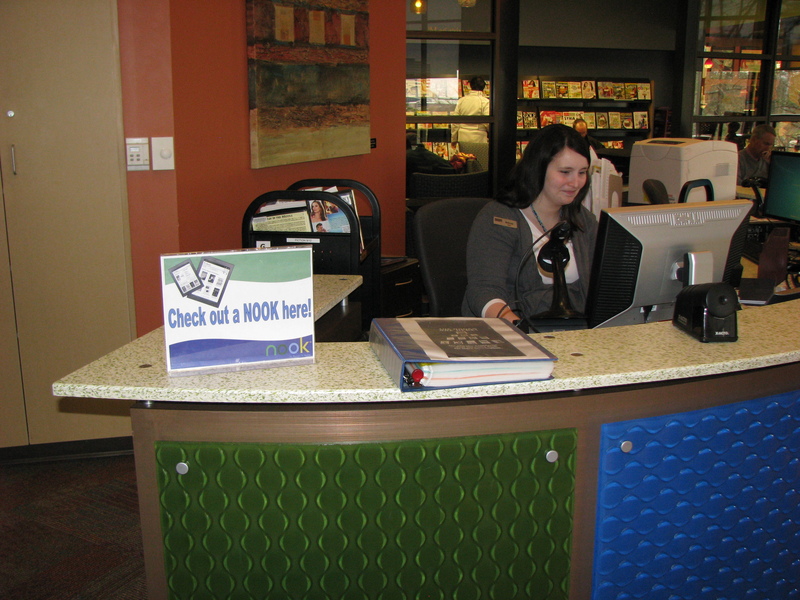 To use the e-book system, you need a library card from any of the libraries in the Jefferson County Library Cooperative. Log onto the site using your card and select an e-book. Depending on availability, you may be put on a waiting list. Once the e-book is available, you can check it out and download it to your device. Downloading instructions are available online and may differ depending on the device. E-books are automatically returned, so there’s no need to worry about late fees. Davis cites the convenience of the e-book system as one of its biggest advantages. The library’s e-book collection consists of 11,475 e-books, including popular titles such as “Gone Girl” and “A Game of Thrones.” Audiobooks are also available. If you don’t have a reading device, no need to worry. The NOOK Project offers the e-book collection to people who may not have a reading device. It’s a collaboration with Barnes & Noble that allows library cardholders to check out preloaded NOOKs. Patrons can check out these NOOKs for a three-week period and can renew them for another three weeks if there is no hold on that particular NOOK. 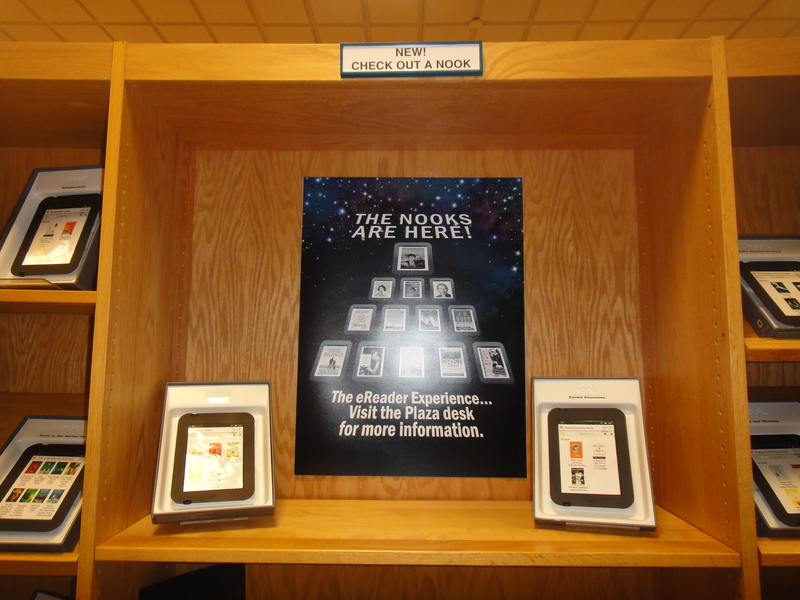 NOOKs are available at the Hoover, Homewood and Mountain Brook libraries. Libraries also offer services that can’t be found online. Hoover Public Library will be hosting a NOOK class Monday, May 6 at 6:30-7:30 for NOOK Simple Touch and 7:30-8:30 for NOOK HD/HD+. The local Barnes & Noble will be teaching the class in the Theatre Level Meeting Rooms at the library. No registration required.